يقع فندق مانترا مولولابا بيتش في مولولابا, صن شاين كوست, هو خيار شائع بين المسافرين. يمكن من هنا للضيوف الاستمتاع بسهولة الوصول إلى كل ما تقدمه هذه المدينة النابضة بالحياة. يضفي محيط الفندق اللطيف وقربه من اندر ووتر وورلد, ذا وارف, كروز اويه تورز ريفر سحراً خاصاً على هذا الفندق. إن الخدمات الممتازة وحسن الضيافة العالي في فندق مانترا مولولابا بيتش تجعل إقامتك تجربة لا تنسى. يقدم الفندق مكتب الاستقبال على مدار الساعة, مرافق مخصصة لذوي الاحتياجات الخاصة, تسجيل وصول/خروج سريع, تخزين الأمتعة, واي فاي في المناطق العامة لضمان الراحة القصوى لضيوفه. تتضمن كل غرف النزلاء وسائل الراحة والتسلية المصممة خصيصاً لضمان الراحة القصوى للضيوف. يمكنك طلب اللائحة الكاملة للخدمات في الفندق ومن بينها حوض استحمام ساخن, مركز للياقة البدنية, ساونا, حمام سباحة خارجي, حمام سباحة داخلي. يشكل فندق مانترا مولولابا بيتش بخدماته الراقية وموقعه الممتاز، قاعدة مثالية للاستمتاع بإقامتك في صن شاين كوست. العقار يطلب مبلغ تأمين مسترجع بقيمة 200 دولار أسترالي عند تسجيل الوصول. 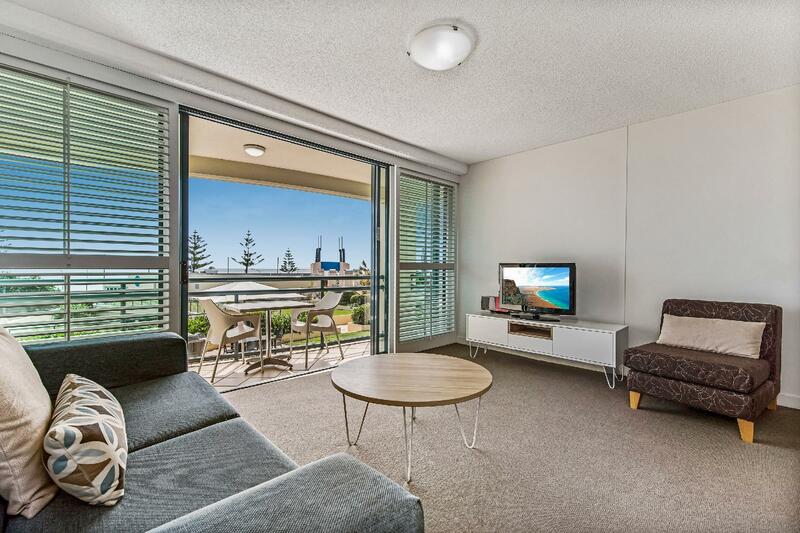 Very nice one bedroom apartment (room 901, twin beds) with lovely views of the beach and the surrounds. Great location, very close to restaurants/cafes/shops and the beach is across the road. The pool is in the shade for much of the afternoon. A Coles supermarket is a 5 minute walk away. Would stay again. Great spot. 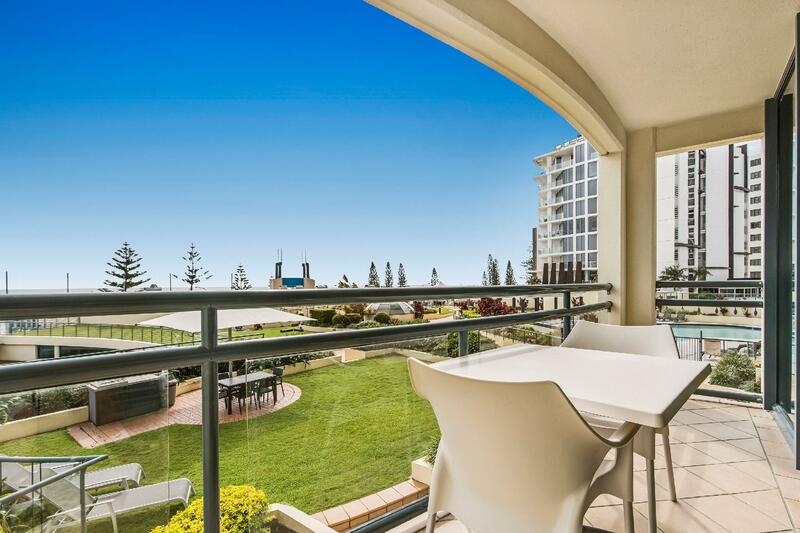 Close to all Mooloolaba has to offer. Staff wonderful. If the ocean isn't for you then pool will be. 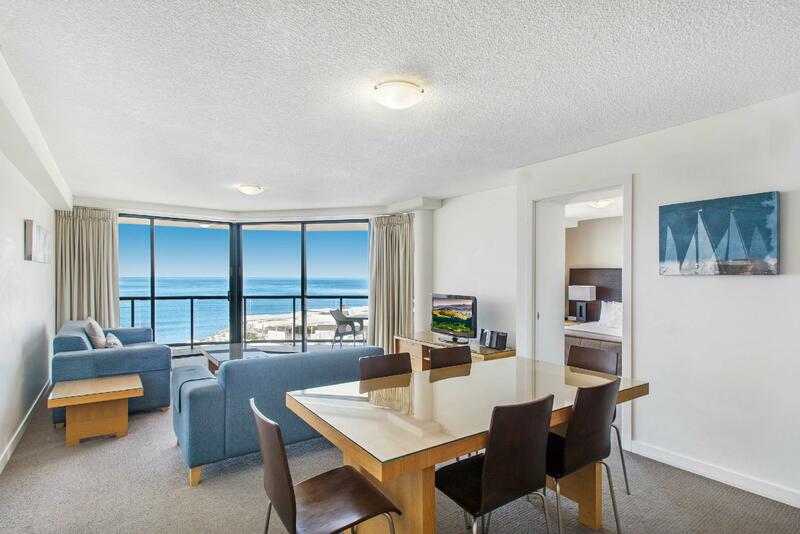 Rooms great with most having a fantastic view of the ocean / beach regardless of the level you're on. We are definitely keen to stay here again. The pools and garden areas are lovely. The staff are very friendly, and helpful, and the location is ideal! So close to loads of cafes and shops. Even the supermarket. Cross the road to shallow rock pools, perfect for young children. Excellent facilities, friendly staff, very clean rooms. Great view of the beach. We will definetly stay again. we stayed here for a short prehoneymoon honeymoon straight after our wedding. I'm not sure as I don't have much of anything to compare this too, but too me it seemed like it needs renovating? The decor seemed late 90's at the latest and for a 'modern 4 star' hotel, it doesn't compare to what you get for the same price in Melbourne or Sydney. Maybe it's a QLD thing.. In any case our stay was nice. Staff helpful and attentive (brought champagne for our honeymoon, lent me a phone charger). - just little things that make a big difference. Good location. Waking distance to lots of restaurants/shops/pubs etc. hotel has heaps of parking (I think it was either free or really cheap??) obviously lovely beach over the road being Sunshine Coast.. Short drive to shopping centre w/movies. Would stay here again. Loved everything about the place. Friendly staff, great location, unit was clean, bed was comfy and the spa bath in the unit was awesome! Would definitely go back. Helpful and friendly staff. Good view, though traffic could be a little noisy when balcony door open. Comfortable apartment, in good condition. 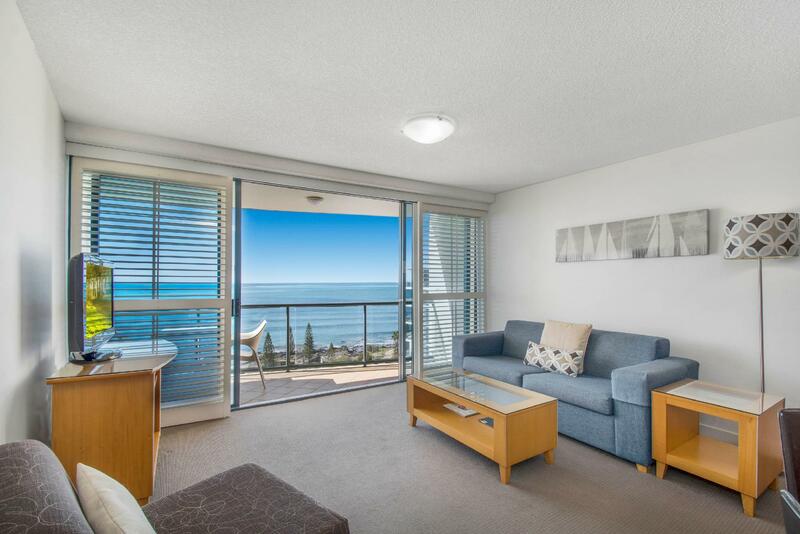 We loved the little unit with an ocean view and close to absolutely everything. If we had belonged to Mantra Rewards we would have enjoyed free wi-fi and other good things so we have joined now ready for our return visit. This place was great central to everything my only critique would be why the shower was see through from living room , so strange and lucky it was only husband and young child lol otherwise it would have been awkward. I really enjoyed my 2 night stay here in a 1bedroom ocean view apartment. The hotel gardens around the outdoor pool are delightful for a sunny winter relax or bbq. 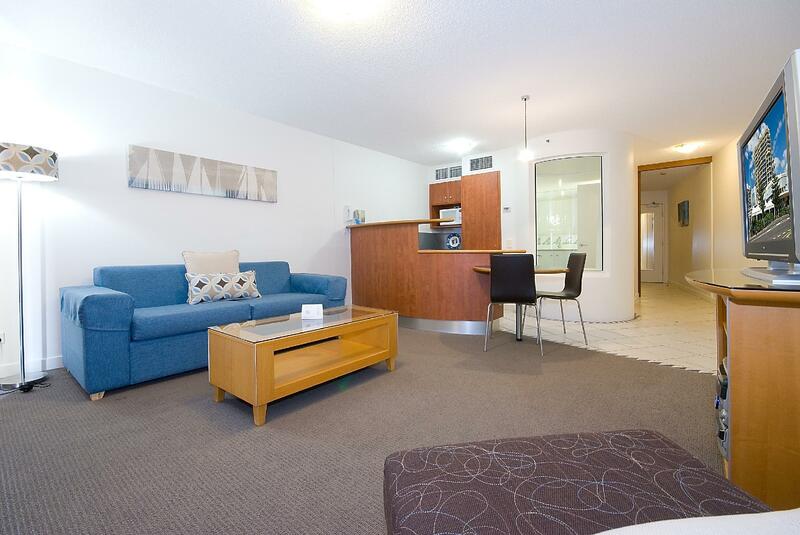 This location is perfect for solo travelers, close to all services, even Coles, & the local bus to Maroochydore & the Sunshine Plaza. Only regret - wish I'd packed my bathers for post-walk swims in the large warm indoor pool or spa, on the 1st floor! Next time!!! 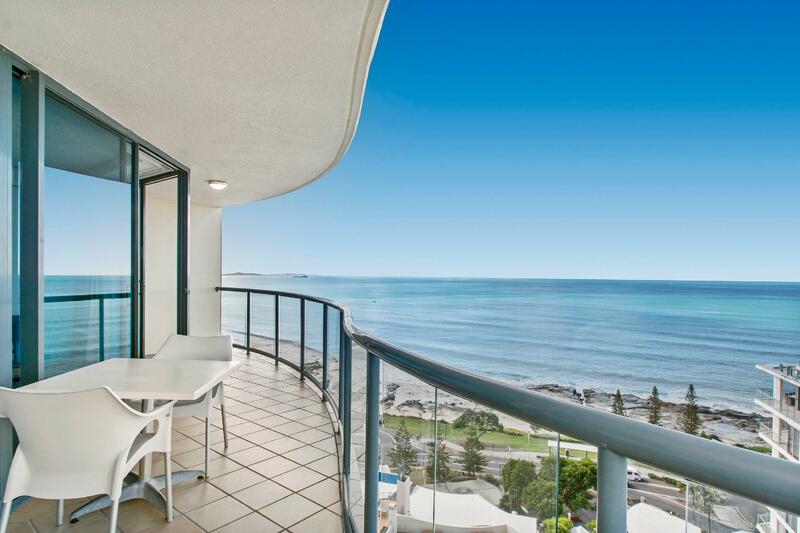 Choosing Mantra Mooloolaba was the right and perhaps the best choice to fit into our budget, convienience and a sea view that I always wanted! Our living room and master bedroom is facing the sea, where we can watch the sun rise. Coles is just next to us, it's just literally a minute walk only. Cafes and restaurants are everywhere and everything is short walking distance. The hotel is clean and tidy when we got in. Although I find the bed is a little too soft for my body and neck, while my family didn't mind, that didn't bother me much. Overall is a great experience for us. the views were amazing, walkinf distance to the beach and restaurants. Had a little getaway for weekend. It was really enjoyable. Lovely staff lovely hotel. Close to the shops and beach. Ocean views were amazing! Most certainly amazing! Would recommend again and would come stay again. Our first Mantra experience was great! Such welcoming and friendly staff. Loved that we could access facilities whether we had checked in or checked out having that access to the pool and carpark is a lovely gesture of the Hotel. Will recommend to our friends and family. Good, except that we had booked for 3 adults and though the queen bed was made up, the sofa was not made up and no sheets/towels for the extra person. After contacting staff the problem was easily solved, but difficult if we had not checked before we went out that night. Also after the first night, we had no room service at all and no refill of coffee/tea/sugar, shampoo, no made beds or changed towels (though we only wanted a change of bath mat). Otherwise the apartment itself was great. Enjoyed my stay at MMBH. The 1BR apartment even came with a jacuzzi. I also used the washing machine. There were cooking utensils too. Nice ocean view from the room. The beach was at doorstep. Lots of eateries along the esplanade. You could go for long walks whenever you wanted. There was a Coles and a pharmacy behind the hotel which made things very convenient. Highly recommended for a stay in Sunshine Coast. Very close to the airport and Sunshine Plaza too (less than 10-15 min drive). Very happy with the accommodation, the only negative issues were cramped bedroom space and having to step into a spa bath to shower, a little dangerous for an older person. However the location and views were terrific, staff very friendly and happy to accommodate any request promptly. Didn't use food or dinning services so unable to rate.